Following on from the success of 2016 Fotospeed are thrilled to host FotoFest 2017 at a new state of the art location. 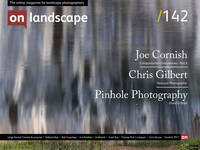 Not only will you have the opportunity to hear talks from 4 amazingly talented photographers. You will also have access to the market place featuring industry leading brands and take advantage of some very special offers. The market place is open and free to anyone who wishes to visit with or without a ticket for the talks. This year we will be holding FotoFest in The Edge building at Bath University. As the event is on a Sunday, parking is free and there is plenty of it. We are also including complimentary tea and coffee for all those who attend the talks. Below Fotospeed have tried to cover all the information you may need to know but if you have any additional questions please feel free to contact one of the team. sales@fotospeed.com| 01249 714 555. Paul’s journey from news photographer to landscape photography began as a form of therapy to help him deal with the stress, depression, insomnia and anxiety that resulted from the pressure he was under at The Times. Many of the images he creates are long exposures, leaving the shutter open for 5 - 45 minutes to allow the light and elements to move, this develops an ethereal quality that has a painterly feel to the photographs. With a lifelong passion for the natural world, Ben has used his skill in photography to capture many stunning images. He is driven by the need to protect and preserve Britain's last fragile ecosystems, as testified by his work for the RSPB, various wildlife trusts and other conservation organisations. Colin Prior is of one of the world’s most respected landscape photographers. Born in Glasgow, his proximity to the Scottish Highlands shaped his passion for the outdoors and fostered an interest in photography. His photographs capture sublime moments of light and land, which are the result of meticulous planning and preparation and often take years to achieve.